On Tuesday there were no winners of the €21 million EuroMillions jackpot which means that there is a double rollover for Friday’s draw and the jackpot has grown to €30 million. The EuroMillions midweek draw produced no jackpot winners, which means that Friday’s draw is a rollover and the jackpot is worth €30 million. The largest prize awarded on Tuesday was €158,311.70 which went to the six players that matched five numbers and one star number. A further three players matched just five star numbers and received €105,541.10 each. The smallest prizes of €4.30 were won by 824,115 players that matched just two numbers. 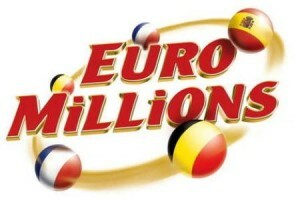 In total there were 1,384,149 winners that won a total of just over €11.7 million. Players of the UK EuroMillions lottery are automatically entered into the EuroMillionaire Raffle. This raffle guarantees at least one winner of £1 million with every draw. In the regular EuroMillions prizes are awarded to any player that matches at least 2 main balls while the jackpot is won by matching 5 main balls and 2 star numbers. Tickets for the EuroMillions Lottery are on sale across Europe but players from anywhere in the world can purchase tickets from the lottery’s website. It costs €5 for each line of numbers and there is no limit on how many lines can be purchased for each draw.